​The Tablets of Honor program, established in 2016 is open to all who wish to honor a Veteran or a military unit/supporting organization. Currently eleven tablets are now on display at the AVM Park. A twelth tablet is in the works. Learn more about how to participate by downloading the appropriate form/guide below. Check this page often as tablet reservations are only allowed when a tablet is approved and designed for placement within the AVM Park. Each nameplate is engraved on the granite tablet. 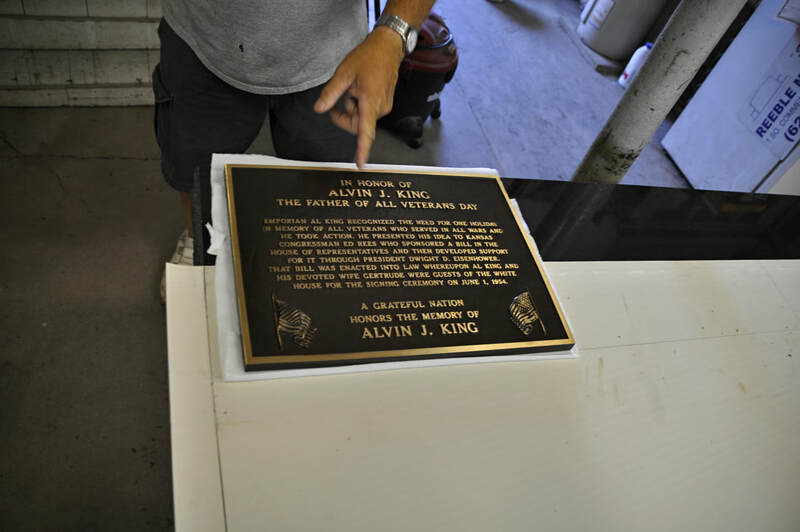 Each bronze plaque is custom designed and affixed to the top row of each tablet. Download the form below for each type of recognition for more instructions. Over 800 veterans and forty organizations have been recognized. Please join us in continuing to honor our Veterans. 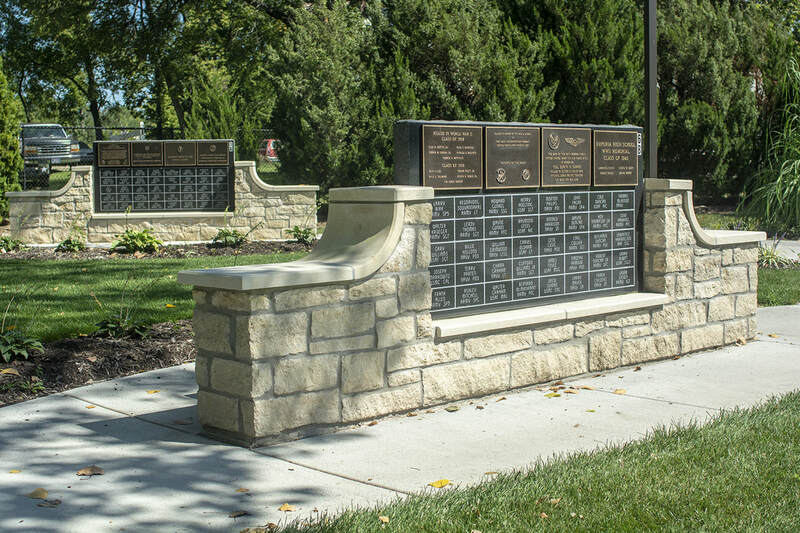 The All Veterans Memorial Committee is now accepting applications for the 12th Tablet of Honor. Tablet applications & information can be downloaded above. 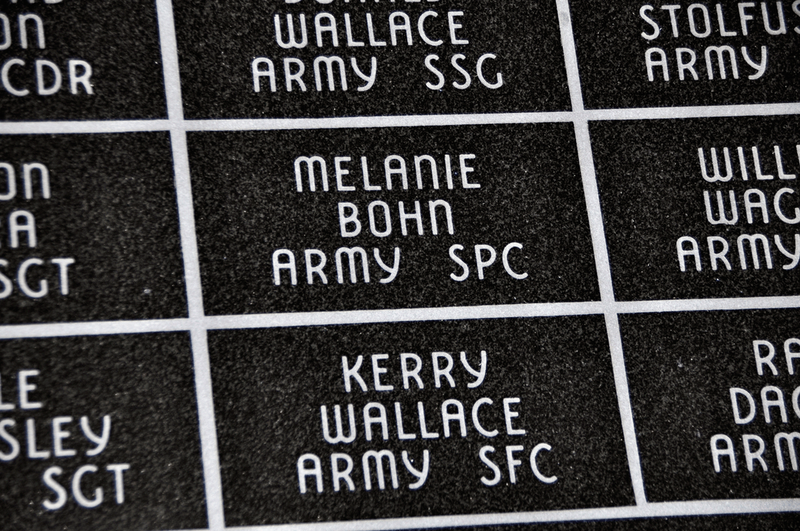 Once we have received and verified 80 names/applications Tablet engraving and design will begin. Collecting of names, engraving and placing of the tablet at the AVM Park is a 12-18 month process. Once the names are all collected we will updated the Tablet of Honor Directory. There are still unit/organization plaques available to be designed, purchased and placed on several tablets.